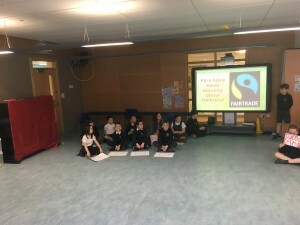 P5/6 have been learning about Fairtrade in the Citizenship Group lessons. 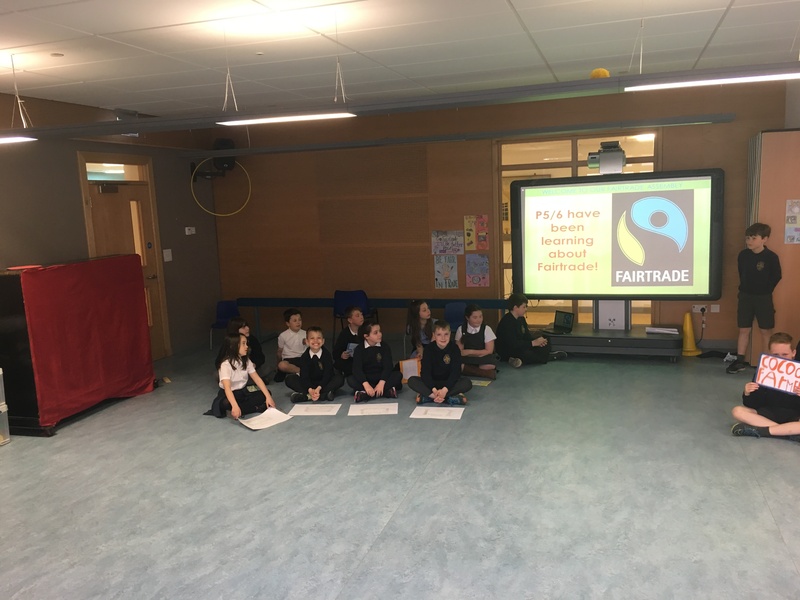 Would you like to know more about Fairtrade? 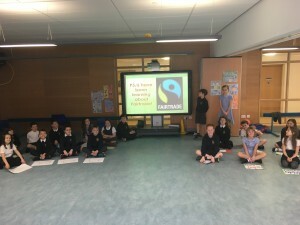 P5/6 have taken a special interest in our Fairtrade mini topic this year and have learned so many interesting, yet sometimes shocking, facts! As part of our topic, the class decided to present an assembly for the other pupils of the school to give them a better idea of what Fairtrade was and how it helps people in the developing world – in this particular assembly it focused on cocoa bean farmers! Cocoa Farmers (including child labour) work long hours, all year round, using dangerous machetes and pesticides to harvest and look after their valuable crops. This means that children are not given an education as their families can’t afford to send them to school and instead they are made to work. Most cocoa farmers have never tasted chocolate as it is too expensive. One bar of chocolate is the same price as a worker’s wage for a month! Without Fairtrade, a £1 bar of chocolate would only result in 7p going to the cocoa farmer! Only 3p from a 90p bunch of bananas would make its way back to the producer. 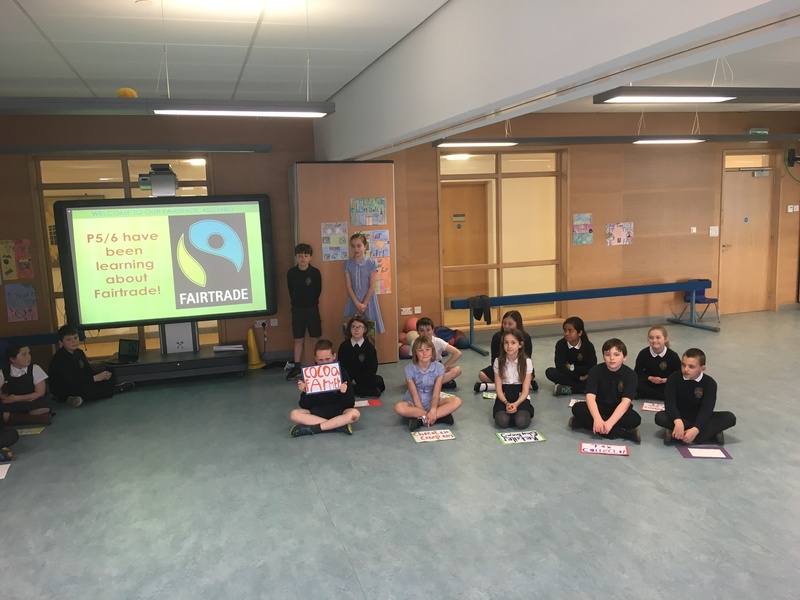 REMEMBER – LOOK OUT FOR THE FAIRTRADE MARK!